The Old Library development of 36 apartments in Cheltenham Road is up for awards from both the Building Safety Group (BSG) and major warranty provider Premier Guarantee. A mixture of high quality work and health and safety planning, specifically regarding the fire risk to timber frame in an urban environment, has led to the nominations, the results of which will be decided at separate award ceremonies later this month and in early November. Autograph Homes Managing Director Simon Taylor said: “We’re delighted to receive significant industry recognition for the work we are doing. Work’s nearing completion, the show home opened in July and of the 36 apartments which we put up for sale in March only four are now left, with two of those are under offer. 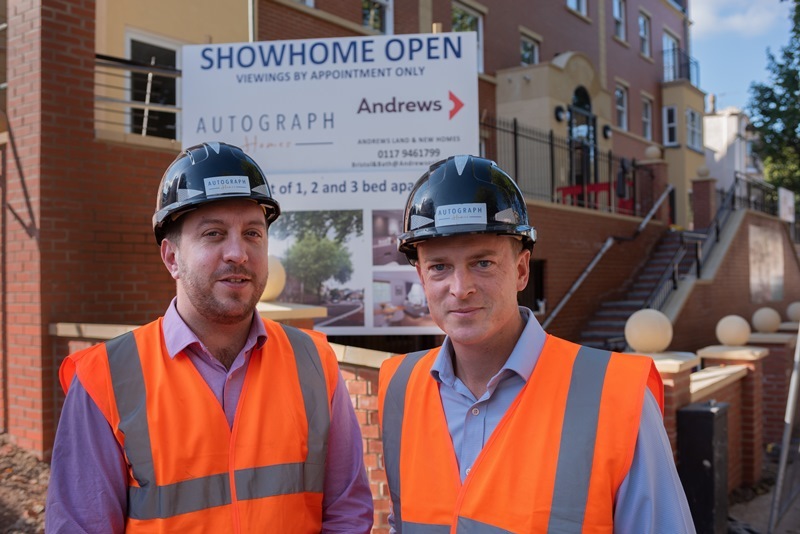 Autograph Homes, which is based in the Ashton area of Bristol, started life in October 2016 with a development of eco homes at Players Close in Hambrook. The business launch followed significant investment from the Housing Growth Partnership. The Cheltenham Road development is its second site in the Bristol area. Construction work on the project started in July last year. Following its successful second year in business, the developer has now appointed Stephanie Probets as Sales Manager and has also identified a new site for development near Bradford-on-Avon.